At Chatfield Dental Centre, our dentists provide Invisalign braces in Battersea for both teenagers and adults to help them achieve straighter teeth and a more attractive smile. We will take your teeth impression before creating a suitable treatment plan for your individual needs. This enables us to know whether you need to straighten your teeth by using our Invisalign System. After it is confirmed, we will develop a treatment plan with the help of our virtual 3D treatment plan, ClinCheck®. This will show the series of movements that your teeth are projected to make during the treatment. You can see how your teeth will appear at the end of the treatment before it even starts. Crossbite: This happens when the upper and lower jaws are misaligned. This can be the reason for degradation of teeth, loss of bone and periodontal disease. Gapped teeth: The gaps in between the teeth may occur due to abnormal growth of jawbone or lack of surrounding teeth allowing them to shift into the created space. Gapped teeth may be the reason for periodontal disease and gum problems. Underbite: This may take place due to inadequate upper teeth or growth anomalies in the jaw causing an inappropriate bite. This will prevent the normal functioning of the front teeth and lead you to severe jaw pain. Overbite: This occurs when the upper jaw is just over the lower jaw. An overbite may cause wearing of teeth on the lower jaw, joint problems and gum problems. Crowded teeth: If the crowded teeth are not treated, then they may become extremely crooked. It might be difficult for you to clean misaligned teeth that can cause gum disease, plaque and tooth decay. Open bite: An open bite happens when the teeth in the upper and lower jaws do not seem to meet properly. Thumb sucking might be due to an open bite, apart from any genetic causes. The treatment of Invisalign is improving almost every day and our dentists can even treat malocclusion problems easily. In case of more complicated problems, you might be the candidate for fixed, lingual or clear braces. We might suggest Invisalign i7 or Lite for less severe cases. Both of them have the same benefit like Invisalign braces but they have been designed to treat simpler cases with fewer aligners. You will have to wear each aligner for at least two weeks before moving onto the next one in the series. This will gradually shift your teeth into proper alignment. After this, we will assess your progress to ensure everything is going correctly. The aligners should be worn for at least 20 to 22 hours a day to get the best possible result. They can be removed when you eat, drink, brush and floss. Invisalign is a safe and effective way to straighten teeth and get amazing results for your confident smile. Nearly invisible: Invisalign aligners are clear and they remain almost invisible in the mouth. It is nearly impossible for others to detect that you are wearing these aligners. 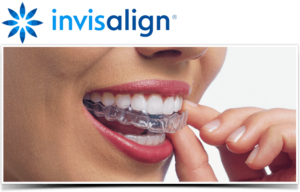 Comfortable to wear: Invisalign trays are designed carefully from smooth and flexible plastic. Just like wires and metal brackets, the trays provide greater comfort for the cheeks, lips and gums. Invisalign provides quick results: As compared to conventional teeth-straightening procedures, Invisalign offers instant results. You will have to wear the braces for almost 12 to 18 months to get the most desired results. However, Invisalign treatment may show results in some weeks for less complicated cases of teeth straightening in Battersea. Easily removable: These aligners can be incorporated easily into your lifestyle. You can also remove them to enjoy your favourite foods and drinks throughout the treatment period. These aligners are quite difficult to be seen when compared to metal brackets and wires. People who are conscious about their teeth and smile should not be worried anymore whereas they would with metal braces. You can remove aligners for some time when you to eat, drink, clean your teeth and get rest from the pressure that they apply. There aren’t any restrictions on the food and drink consumed, providing you remove the aligners before having them. The teeth and the aligners can be cleaned easily and in lesser time than traditional braces. Food cannot get stuck in the aligners as it would have for metal appliances. Your visit to the dentist will be less in comparison to fixed braces. Every patient has their own individual needs and this has a greater impact on the price of braces. It is quite difficult to say brace cost without the proper evaluation of the teeth by the dentist. If you are in need for minor realignment, then an inexpensive and shorter treatment period can be expected than in case of severe misalignment. The NHS offers affordable dental care to people but it does not provide braces to the ones above the age of 18. Hence, if you are 18 years old or more, you cannot get a free orthodontic treatment within the NHS, unless you or your child is below 18 and meet their specific criteria. You may visit our dentist for thorough evaluation of your misaligned teeth and get the most benefit of our special offer on all Invisalign treatments. Feel free to call us at 020 7585 0066 to book your appointment. 1. How discreet are Invisalign aligners? Your Invisalign aligners cannot be seen with naked eyes. Hence, you are confident that unless you tell others, no one will know you are wearing them. 2. Can Invisalign affect my speech? You might have slight lisp at the beginning, however, you will get used to wearing the aligners and begin to talk properly within just a few days. 3. How comfortable are Invisalign aligners? Invisalign aligners are made with ‘transparent polycrystalline alumina,’ a clear and smooth material by keeping in mind your comfort level. They do not have any metal wires or brackets that might be the reason for your pain and discomfort. 4. How often should I wear my aligners? You will have to wear aligners for almost 20 to 22 hours a day. However, you can take them out at the time of eating, drinking, brushing and flossing. 5. What are Invisalign attachments? These are small tooth-coloured buttons that can be attached to the teeth so that they move in the desired direction. 6. Is Invisalign the right option for me? Invisalign are used to get your teeth straightened for mild to moderate cases. We will be happy to discuss your possible options in a free and no-obligation consultation. 7. What should I do if I lose an Invisalign aligner? If you lose one of your aligners, contact our experts right away. In case of a lost Invisalign tray, you will have to wear the previously used aligner tray often in the form of a retainer to keep the teeth from moving to their previous position. 8. Do I need to wear retainer after the treatment? You will be given fixed or removable retainers after the treatment which ensures that your teeth will remain intact in their actual position. 9. How can I get more information about Invisalign? If you want more information on Invisalign or other orthodontic treatments, call us for a no-obligation appointment to get a free consultation. We will listen to your queries carefully and discuss all the possible options for you. 10. How much time will my treatment take? The treatment time depends on the change of the braces needed. However, an adult braces treatment in Battersea will take somewhere between 9 and 18 months. Invisalign is so discreet that most people will not even notice that you are wearing them unless you tell them about it. 11. How can I clean my aligners? You should keep the aligners clean by brushing them gently with a toothbrush and water every time you take them out. You may even use retainer brite cleaning tablets for thorough cleaning. 12. How painful is Invisalign treatment? The aligners do not cause much pain but you might find them slightly tight for the first few days. 13. Can I brush and floss my teeth? Yes, you will have to remove your aligners at the time of brushing and flossing. We are happy to offer Invisalign treatment with complimentary consultations. We welcome Invisalign patients from all over London. If you are looking for Invisalign treatment near me in Battersea, Wandsworth of SW11 areas then drop in for a quick chat with our friendly team.